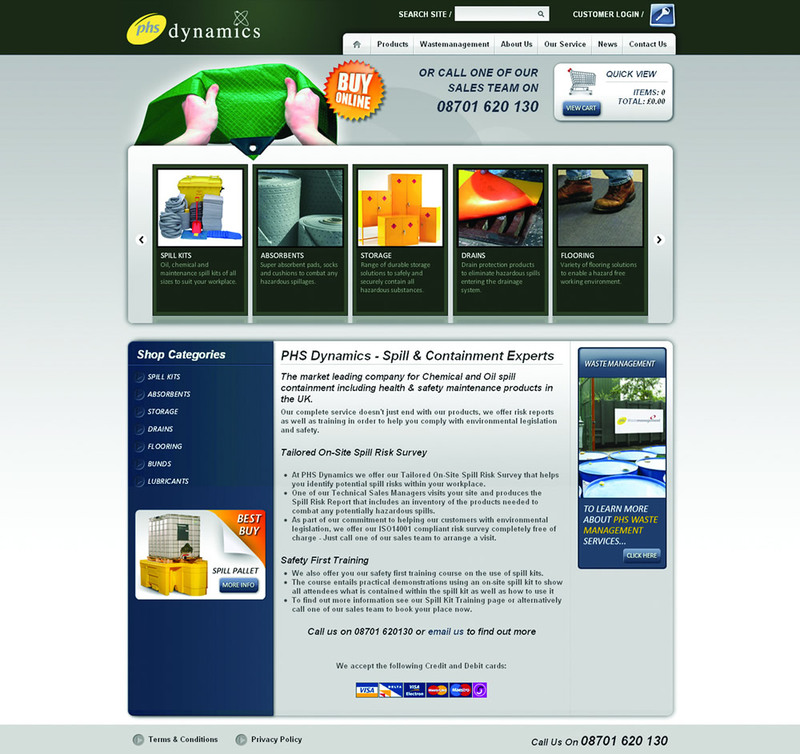 PHS Dynamics, the leading supplier of spill containment products and services have launched their new online catalogue, which allows customers to easily browse and purchase products securely online. The comprehensive catalogue includes; spill containment products, surveys, training, hazardous storage solutions, fluid handling, waste management and Health & Safety products. Dynamics is committed to delivering peace of mind to the industrial sector with a price match promise on any product of the same quality, performance and size.